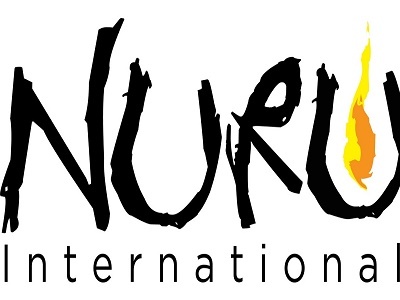 Nuru International is a social venture committed to ending extreme poverty in remote, rural areas by offering locally-led training in agriculture, household savings, healthcare, and education. The Team Leader (TL) role is a generalist position in which extensive leadership and management experience in chaotic environments is a must. The TL leads the implementation of the Nuru Model on the ground in Nuru’s country projects. He or she is the carrier of the Nuru culture in country. The TL is the focus of effort for all support team members on both the Headquarters and International Operations teams and is responsible for everything that happens in Nuru country projects prior to expat exit. Mentor and build the capacity and leadership skills of the Project Director. Create and execute the country project strategy in line with larger Nuru International strategic goals. Ensure Nuru Impact programs create attributable impact in country projects. Manage and take care of both expat and national team members in the country project. This is a complex position and requires working and collaborating with several decision makers in the organization. Domestically: The TL will work closely with the CPO and his team (Impact Programs Director, Leadership Program Director, and M&E Program Director) to ensure effective design of the Nuru Model, iterate on the Model and maintain the integrity of the Model in all country projects. The TL will collaborate with the COO to ensure high quality support of Field Team (FT) expat members, ensure country project strategy and budget fit within Nuru International’s strategic plan and allocated resources, and ensure that standardized country project business systems (Finance, HR, IT) are created and managed effectively. The will work with the Security Coordinator to ensure an effective security and emergency response plan is in place and rehearsed regularly. Internationally: Collaborate with all FT members and Project Director, Finance and Admin Head, and Impact Program Manager on the national team. The TL will live in the country project in a remote village in an unstable fragile state – living with the rest of the FT in the team compound (spotty electricity with generator support, running water – western toilet and lukewarm shower, spotty internet connectivity, etc.). Living conditions can be physically challenging and occasionally uncomfortable (basic transportation, accommodation: communal living). Security of the team will be a challenge and one of your main priorities. Fast paced and rapidly evolving environment. This role is 100% about people and execution. A successful TL will build strong relationships with their FT, the CPO, and COO. They will communicate and collaborate effectively with their teams; build a strong, trusting relationship with the senior national staff – mastering a “leadership through influence” mentality; network effectively with and build strong relationships with local and regional government officials; and effectively prioritize and manage tasks. 5 years+ of leadership experience in chaotic, uncertain environments required. Must be capable of leading team through crisis situations in fluctuating security conditions. Experience in project management, ie planning, implementing, and managing multiple, complex projects including administrative tasks. Experience in building, training, mentoring, and leading diverse teams to perform under arduous conditions required. A strong understanding of the importance of relationship-building and networking to achieve goals.